There are many different types of light bulbs, but none have achieved the energy efficiency of the Light Emitting Diode or LED. Indeed, it has been a revolution in lighting. Incandescent bulbs are only 20% efficient. Unlike traditional light bulbs, LED bulbs emit little heat. As much as 90% of their energy goes into producing light. That means replacing your incandescent lights with LEDs can take a chunk out of your monthly energy bill. Cold air, snow, and ice have gripped the country. You may not be outdoors much, but the extra time can be spent organizing and decluttering your home. A few helpful items may be no farther than your local hardware store. We all know it could happen, but never suspect it will happen to us: a house fire. After all, that’s why many of us have a smoke detector installed, yet we often ignore its upkeep and maintenance because we doubt a fire will ever occur. If you have a fuel-burning appliance in your home, such as a stove or a fireplace, it is important to install a carbon monoxide detector in your home! Carbon monoxide is a deadly gas that can creep into your home through gas appliances, cars, lawnmowers, and fireplaces. Learn more about carbon monoxide and what you can do to protect yourself and your family. There are many benefits to going green. Not only do energy-efficient homes have higher resale values and are healthier to live in, but less energy—and, therefore, less carbon—is required to power them. If you find that your energy bills are costing you more these days, and you want to improve the environment, you’ll be happy to discover there are several products available to help. 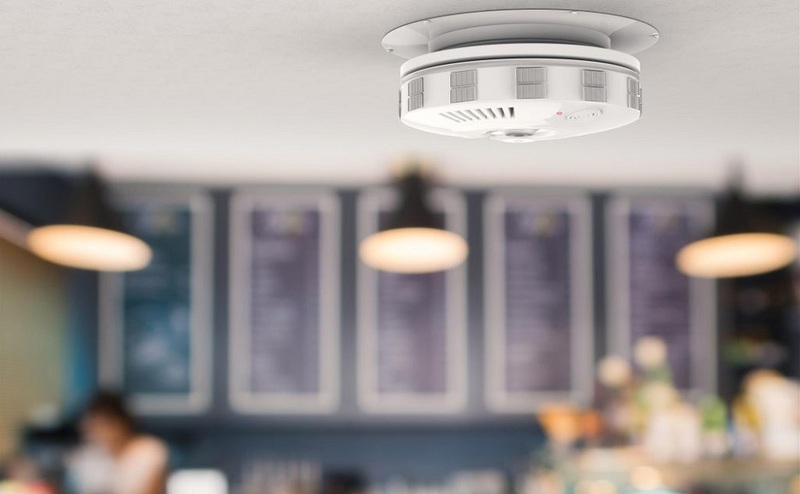 When it comes to home safety, an electronic smoke detector is a simple and inexpensive line of protection that can go a long way toward keeping you and your family safe, doubling your rate of chances of surviving a fire by providing an early warning. However, without regular maintenance and testing, you might as well not have a smoke alarm at all. Therefore, it’s important to learn the proper way to care and maintain your smoke alarm, to maintain a safe and protected home environment.